Bringing a new animal to the farm takes six months to a year of planning before the animal actually becomes part of the family. First, we watch every available YouTube video made by people who are raising the particular animal. Then, we read every recommended book about raising the animal. Finally, we build structures and fences. 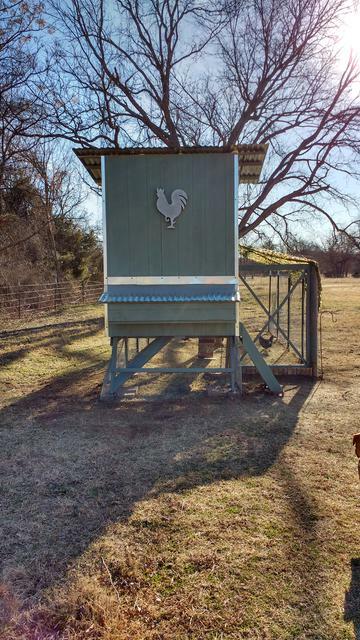 After lots of research about raising hens, we decided that we needed to have a secure structure since we have so many predators in our area. Cue one unused deer stand, a tractor, and one brilliant husband. 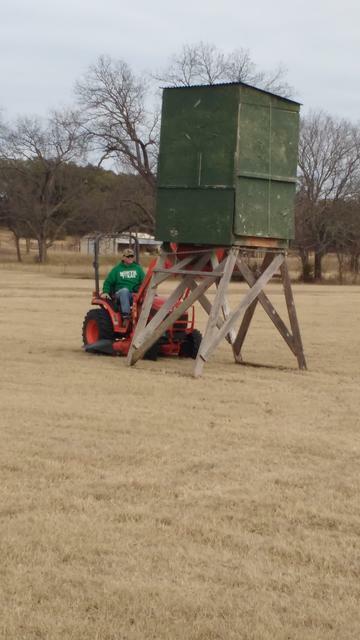 Yes, Hubs actually dragged the deer stand all the way across the pasture with the tractor. 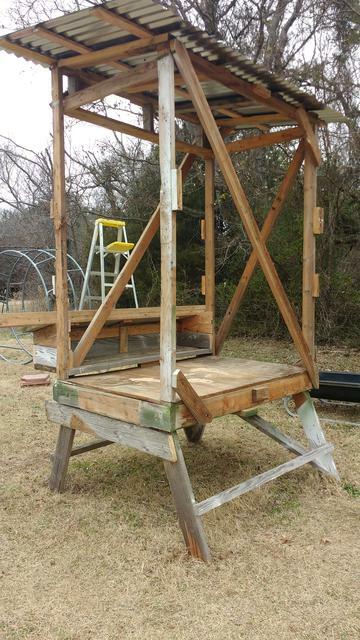 We stripped the deer stand and reinforced it. Roosts inside coop. I now have curtains on the nest boxes for privacy. The bottom of the coop is normally covered with pine shavings. Coop and exterior run. 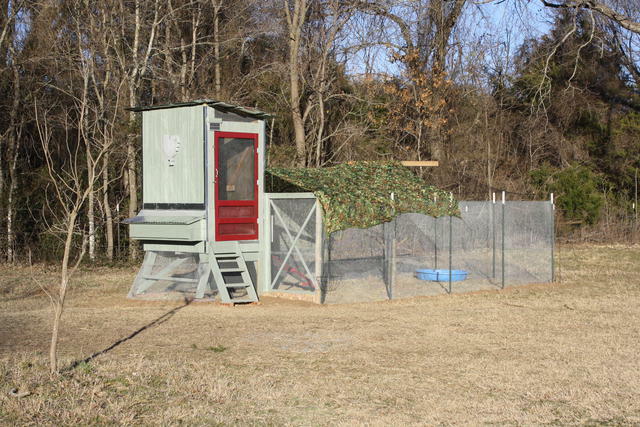 Fort Knox for chickens. 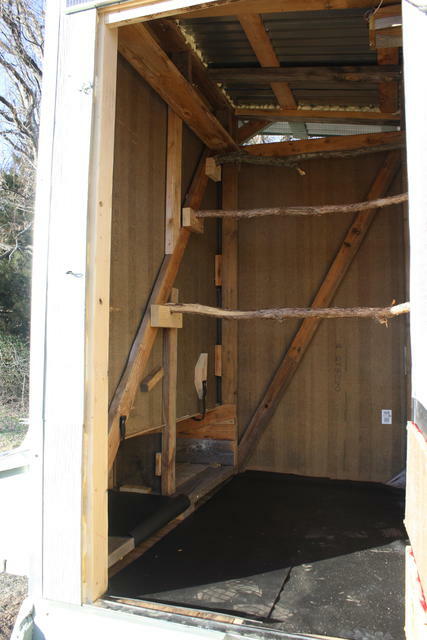 The lower roof of the coop houses the nest boxes. We brought the first six pullets to the farm in February. We originally purchased six different “breeds”: Speckled Sussex, Australorp, Ameraucana, Gold-laced Wyandotte, Silver-laced Wyandotte, and a Dominique. This turned out to be a smart move. We learned that the Ameraucana was very hardy and a great layer. The Australorp, while a great layer, was frequently broody. Since we don’t have a rooster and the eggs are never fertilized, it became a constant fight for the eggs under her rump. The most important lesson we’ve learned about chickens? By July, only three remained. Infected earthworms. Wet grain. Snakes in the coop. If it’s a noun, it probably kills chickens. By September, we felt ready to raise a new brood of chicks. 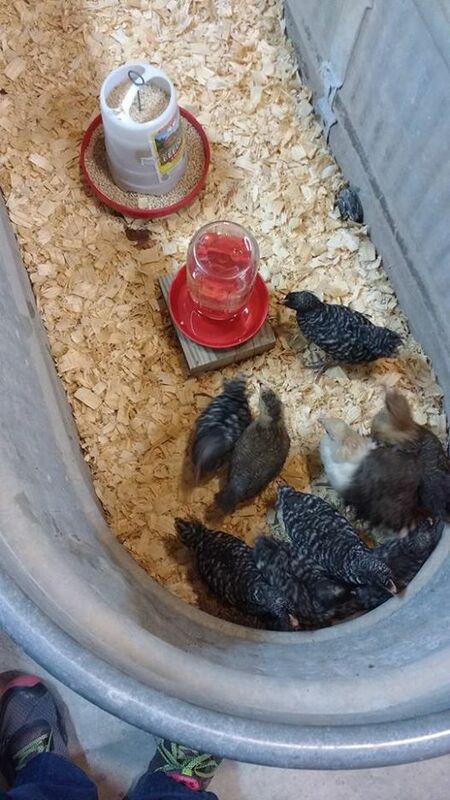 We purchased four Ameraucanas and six Barred Rocks. 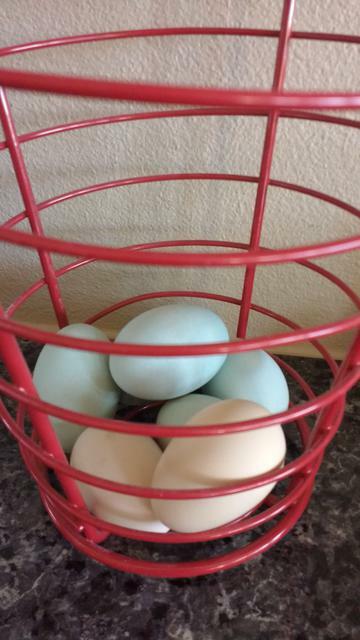 The Ameraucanas lay enormous blue and green eggs while the Barred Rocks are reported to lay throughout the winter. We brooded the chicks in the basement in an old stocktank until they were 8-weeks-old. We then spent a week hardening them off to the outside in a dog cage inside the run. This allowed the adult chickens to be around the chicks without being able to peck them. We finally turned the chicks loose and, other than normal pecks from the adults, everyone got along famously. Our coop is now home to thirteen laying hens. Four months and so far, no losses. The adults have stopped laying for the winter, but come Spring time, we should be egg-rich. I can’t really explain how much fun it is to watch happy chickens run around and catch bugs in their run. How gratifying it is to peek into the coop at night and see chickens roosting. Not to mention opening the nest box door to discover a pile of different colored eggs waiting to be harvested. Like Christmas morning every day of the year.